INDIANAPOLIS (Monday, August. 15, 2018/National FFA Organization) – John Kern of Washington, Kansas. was recently selected to receive the Honorary American FFA Degree. This award is given to those who advance agricultural education and FFA through outstanding personal commitment. The National FFA Organization works to enhance the lives of youth through agricultural education. Without the efforts of highly dedicated individuals, thousands of young people would not be able to achieve the success that, in turn, contributes directly to the overall well-being of the nation. The Honorary American FFA Degree is an opportunity to recognize those who have gone beyond valuable daily contributions to make an extraordinary long-term difference in the lives of students, inspiring confidence in a new generation of agriculturists. 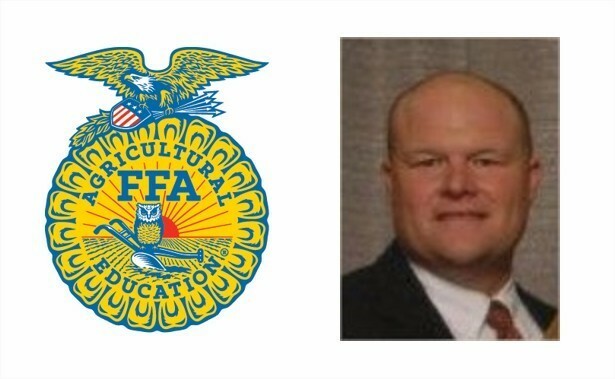 Members of the National FFA Organization’s board of directors approved the nomination. Kern will receive the award at the 2018 National FFA Convention & Expo during an onstage ceremony on Friday, Oct. 26 in Indianapolis. All recipients will receive a certificate and medal, and their names will be permanently recorded. Teachers who have created high-quality agricultural education programs which inspire and motivate their students to strive for success are eligible for an Honorary American FFA Degree. Nominations for the Honorary American FFA Degree must be sent to the teacher’s State FFA Association for approval. State FFA staff forwards all approved nominations to the National FFA Organization. Eighty-five percent of the teacher’s agriculture students must have been in FFA in the last year. The teacher must have been teaching agriculture for at least ten years. Teacher must be a current teacher of agriculture education. Teacher must have 100 percent student participation in supervised agricultural experience program.